When you are having issues with your headlights or tail lights, head to University Chevron right away. 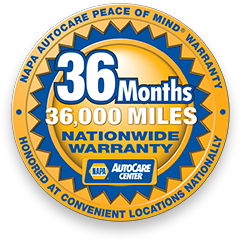 Since 1977, we’ve been proudly serving the Fairbanks area with quality auto service from ASE Certified professionals. Don’t leave your vehicle in the dark with lights that don’t work. Everyone knows how important headlights and tail lights are on your everyday drive. Flickering or dimming lights are tell tale signs that there’s a problem. Burned out bulbs or issues with the electrical system are the most common issue, but thankfully University Chevron is here to help. Call us, stop by, or schedule an appointment today.